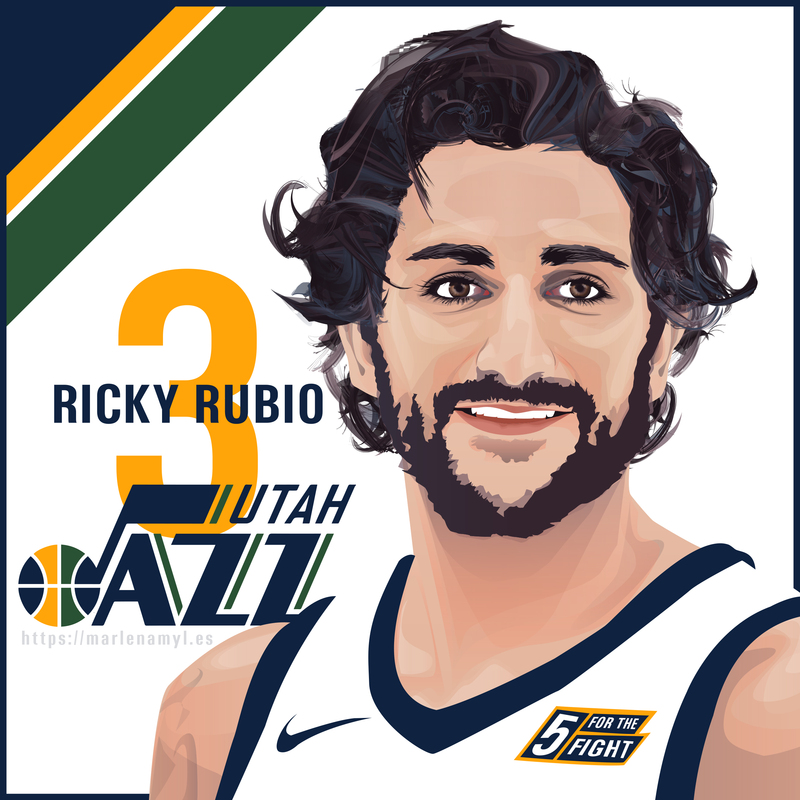 Ricard Rubio i Vives (born October 21, 1990) is a Spanish professional basketball player for the Utah Jazz of the National Basketball Association (NBA). Rubio became the youngest player ever to play in the Spanish ACB League on October 15, 2005, at age 14. He made his EuroLeague debut on October 24, 2006, at age 16, becoming the first player born in the 1990s to play in a EuroLeague game. He is the fifth-youngest player to make their debut in the EuroLeague. On June 25, 2009, he was drafted with the fifth pick in the first round of the 2009 NBA draft by the Timberwolves, making him the first player born in the 1990s to be drafted by the NBA. The Timberwolves had an agreement in principle with his former Spanish team, DKV Joventut, to buy out his contract, but Rubio backed out of the deal. On August 31, 2009, Joventut traded the rights to Rubio to FC Barcelona, and Rubio signed a six-year contract with FC Barcelona the following day. In 2011, Rubio joined the Minnesota Timberwolves, and spent six seasons in Minnesota before being traded to the Jazz in June 2017.